One of the most preferred destinations in south east Asia, Thailand is one of the most addictive places I’ve ever been to. Thanks to its currency rate ( Roughly 1 Baht = 2 Rs) , it’s a great choice for budget travelers who want to explore a foreign destination. Hence wrote this Thailand 6 days itinerary that should be ideal to plan your perfect international vacation. More importantly from a tourism perspective, it’s a great place to explore by self than opting for any travel packages that would cost you a bomb. The top 3 airlines to Phuket include : Nok Air (www.nokair.com), Air Asia , Thai Airlines and Bangkok Airways . 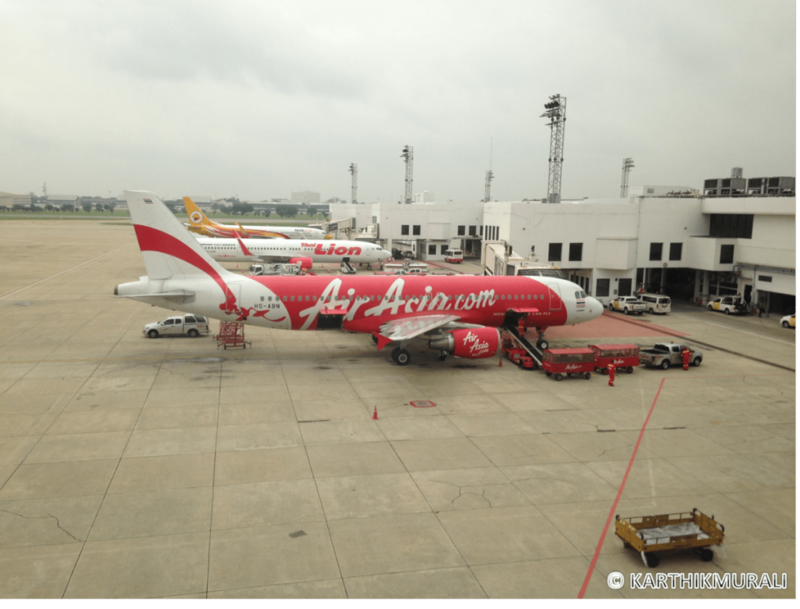 Nok Air and AirAsia usually cost around 1000B$( INR 2000Rs) while Bangkok Airways would cost you around 2000-3000 B$ (INR 5000-6000) for the 1 hour flight. Assuming you have a early morning arrival in Bangkok, it’s usually advisable to fly out directly to Phuket via a connecting flight. Flight time to Phuket is usually an hour and by the time you land and check in to the hotel, it’ll be around 9-10 am. 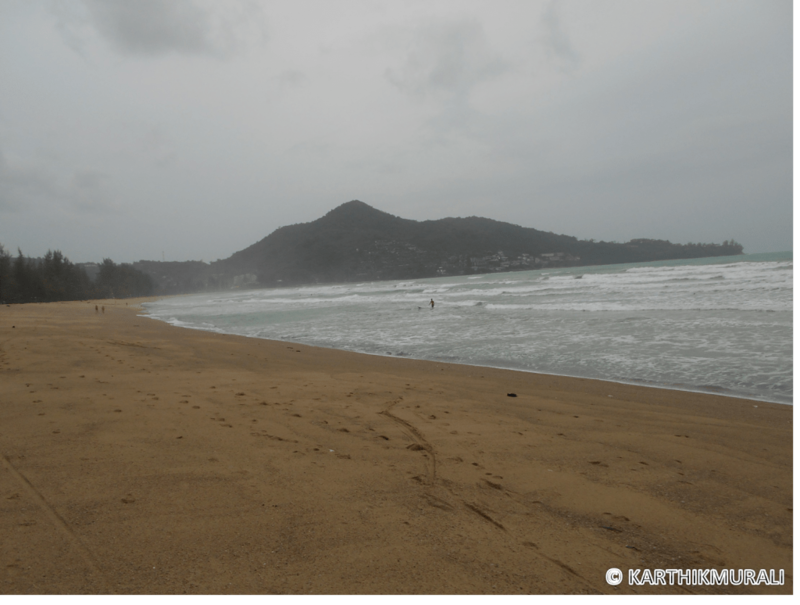 The first half of the day , you can keep it light by visiting the local beaches (Patong Beach, Kamala Beach, Surin Beach). You can even try your hands on water sports such as Parasailing,Jet Ski etc. In case someone offers a city tour package, politely decline it (this will cover only some bird parks and game spots and a small drive round the city which is never worth it). 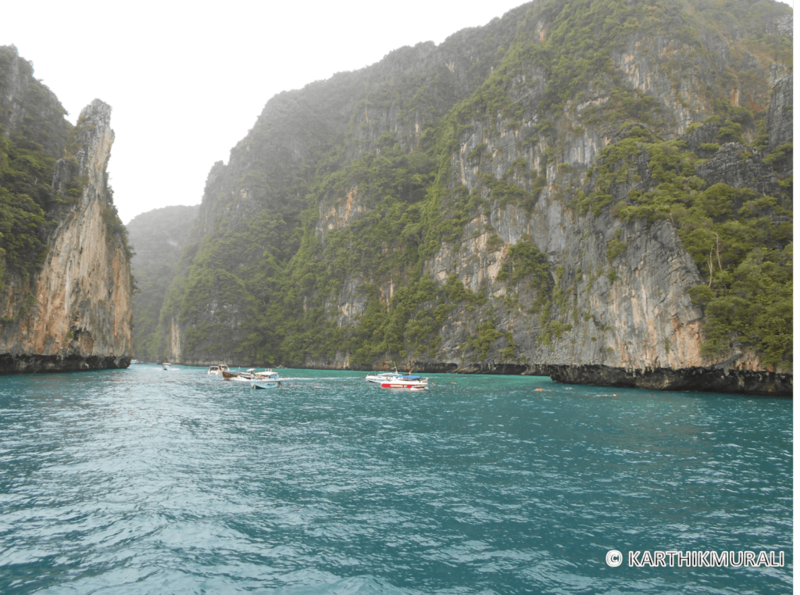 Phuket, an island on its own has two surrounding islands that are worth visiting. – Both these islands are a day long tour. Starts as early as 7-8AM and ends by 5-6PM- These tours can be easily availed directly from your hotel travel desk or at the travel companies in the Phuket airport itself (roughly costs 2500 B$ including Indian lunch,pickup and drop). These tours consist of a 3 hour ride in the ocean in a small sized ship to the island, where you can opt for water activities such as Scuba Diving,Canoeing, Snorkeling, Undersea walking etc. The rest of the evening can be spent by indulging in some nice authentic Thai massage and a little bit of shopping in the night markets (Note : Items in phuket are generally slightly expensive that Bangkok as all items are being imported from the mainland. So keep your majority of shopping in Bangkok itself). After breakfast, take an early morning flight to Bangkok en-route to Pattaya. If you are opting for AirAsia or NokAir, this will take you to Don Mueang Airport as mentioned above. From here , Pattaya is roughly 165KMs (2 hours via road). Take a taxi directly from Don Mueang Airport to Pattaya . This will roughly cost you around 2000-2500B$( 4000-5000 INR) . The second, yet better and cheaper alternative would be to take a direct bus to Pattaya. Simply flag down a taxi from Don Mueang airport and go to either A) Mo Chit Bus Terminal or B) Ekamai Bus Terminal. The buses are fully air conditioned and semi sleeper and has separate provisions to place your luggage and very comfortable. Bus Service starts everyday from 4.30 am (every 30Mins) and definitely the most preferred choice in terms of comfort and cost. Once you have reached Pattaya and checked in , take a stroll in the Jomtien beach that faces the famous Pattaya board (like Hollywood). Opt in for a quick Thai massage if time permits. At around noon, take a tour to the Noong Noch Park. 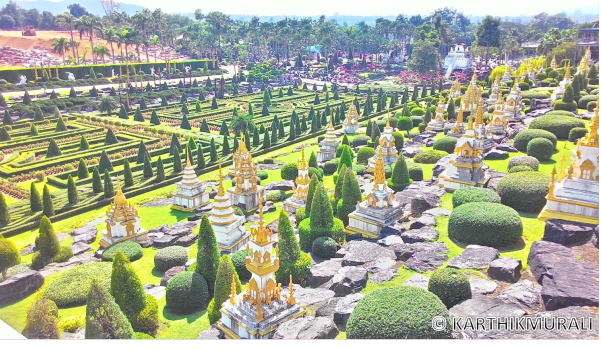 This is a spectacular arena that features so many activities such as mini zoo, mini bird park, car museum, elephant show, Thai cultural show, mini representation of Siam, a small temple and much more. This is a beautiful place one should never miss. Around evening, you can get to watch the world famous cabaret called The Alcazar show or the Tiffany’s show which features a selection of Thai Ladyboys performing some exotic dances to some interesting tunes. This is a 1 hour show and roughly costs around 1000 INR. 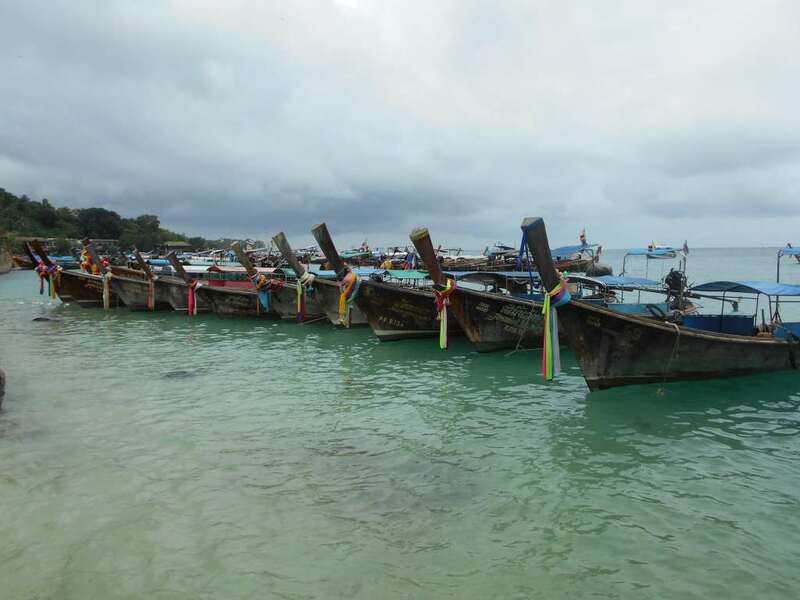 In case you have seen enough of islands in Phuket , the Coral Island in Pattaya may not be even half excitng as what it’s claimed to be. 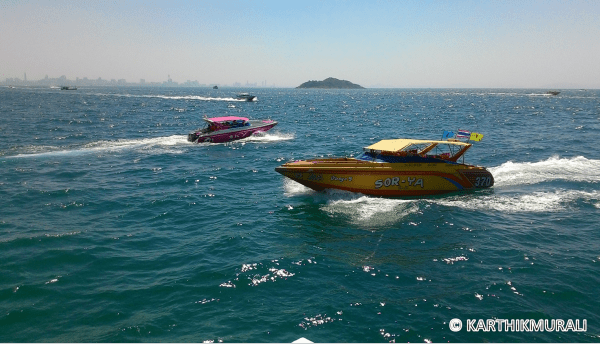 If you are visiting only Pattaya, you can take a Coral Island tour with Indian lunch (till 2PM in the afternoon).This tour includes an hour’s ride to the Coral Island (Koh -Larn islan) and allows you to relax, swim in the beach and come back to the mainland post noon. Cost of this tour is roughly around 1000 Rs incl of lunch (activities like parasailing, under sea walking etc are charged etc). Post noon, you can take a bus directly from Pattaya Bus stand to Ekamai or Mo Chi (in Bangkok). Both buses leave alternatively every half hour and cost around 120 Baht ( 240 Rs/ Ticket). If you can make it soon to catch the bus, you can be in Bangkok by 5-6 PM. Check into the hotel and relax for a bit. At around 7, you can either go to Indra Market ( in Pratunam market for a street side shopping) or visit the beautiful Asiatique Oceanfront market by the river ( very highly recommended) . 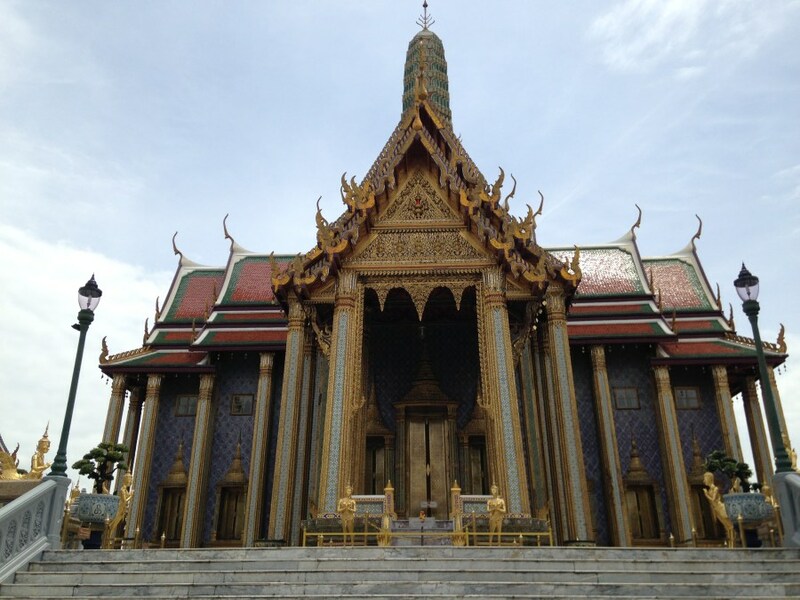 Grand Palace/Wat Po ( Emerald Buddha ) / Wat Arun : Take a taxi/metro/Tuk Tuk to the Grand Palace. The other two temples are located adjacent to each other and you can easily cover this beautiful temple and the grand palace before noon . If you have kids you can visit the Siam Ocean World & Madame Tussauds or the Safari World.